The First and Second Relief Parties brought in two groups of survivors, and the Third Relief set out from Johnsons Ranch and returned with all the survivors who were able to travel. The dated entries below are from the diary of Patrick Breen. Shortly after he moved his family into the cabin built two years earlier by the Stevens-Townsend-Murphy Party, Patrick Breen began a diary, recording in his terse fashion the events of that winter of entrapment. Upon his rescue, Breen gave his diary to George McKinstry, Sheriff and Inspector at Sutters Fort. McKinstry had himself traveled the Hastings Cut-off and arrived at Sutters Fort on October 19. McKinstry sent the diary to the California Star , which published in an abridged form on May 22, 1847. The diary has been more correctly transcribed, and published, by George Stewart in Ordeal by Hunger, Dale Morgan in Overland in 1846 and Joseph King in Winter of Entrapment . It is available online in original manuscript at the University of California, Berkeley, Bancroft Library. The Diary of the First Relief is a copy made by Alcalde John Sinclair at Sutters Fort of a diary kept by M.D. Ritchie and Reasin P. Tucker. James Reed obtained Sinclairs copy. Stewart suggests that Ritchies dates are one day late, because they dont agree with Breens date for their arrival at the Lake. The Diary of the Second Relief is a diary kept by James Reed. He kept the manuscript. Patty Reed Lewis provided copies of both diaries to C.F. McGlashan in 1879 for his book. The diaries were donated to the Sutters Fort Historical State Park by the Reed estate in 1945. The diaries were transcribed by Carroll Hall in Donner Miscellany , and by Dale Morgan in Overland in 1846 . Tus March 1st left early this morning with 3 of the men and went to Donners where Cady & Clark had arrivd on Yesty found all alive cheered them and sent Cady back for more provisions say 7 day found here but 3 child of J Donner that Could Com with us at George Doner tent there was 3 Stout harty children his wife was able to travel but preferred to stay with her husband until provisions should arrive, which was confidently expected by Comd Woodworth, who was at Cap Suters the day before I left Mr Johnsons, here I left two of my men Cady & Clark one with each tent to cook and as fast as possible resusitate the enfeebled so that they might in a few days Start, took 3 children of J Donner and the men I took in and returned the same day making the 20 miles carrying 2 of the child got back to the other cabins about 8 ock, much worn down, as I passed Mrs Graves told them I would be off in the morning, the men that remained with her today Cached the principal of her effects and got for her out of one of the waggons about 800 in gold & silver which was nailed in the middle of the bed the money being placed in grooves close made for the purpose. 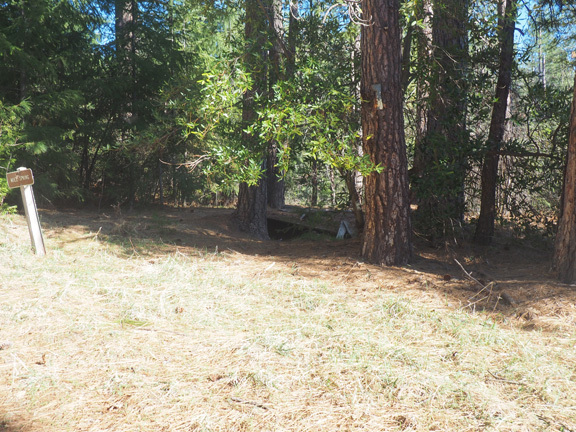 A number of the relief party remained here, while Messrs. Miller, McCutchen, and one of the men and myself, proceeded to the camp of the Messrs. Donners. This was a number of miles further east. We found Mrs. Jacob Donner in a very feeble condition. Her husband had died early in the winter. We removed the tent and placed it in a more comfortable situation. I then visited the tent of Geo. Donner, close by, and found him and his wife. He was helpless. Their children and two of Jacobs had come out with the party we met at the head of Bear valley. I requested Mrs. George Donner to come out with us, as I would leave a man to take care of both Mr. George Donner and Mrs. Jacob Donner. Mrs. Geo. Donner positively refused, saying that as her children were all out she would not leave her husband in the situation he was in. After repeatedly urging her to come out, and she as positively refusing, I was satisfied in my own mind that Mrs. Geo. Donner remained with her husband for pure love and affection, and not for money, as stated by Mrs. Curtis. When I found that Mrs. Geo. Donner would not leave her husband, we took the three remaining children of Jacob Donners leaving a man to take care of the two camps. Leaving all the provisions we could spare, and expecting the party from Sutters fort would be in in a few days, we returned to the camp of Mrs. Graves, where all remained during the night except McCutchen, Miller, and myself, we going to the cabin of Mr. Breen, where two of my children were. Notice was given in all the camps that we would Start on Our Return To Sutters early the next day. In his 1871 article in the Pacific Rural Press , Reed wrote: About the middle of the day we started, taking with us all who were able to travel. In a short time we reached Donner Lake. Traveling on ice a short distance, we made camp on the eastern side. Here were several springs; in the water were many small fish. A list of merchandise belonging to the Estate of Jacob Donner Decd. Sold to Sundrice persons on the 2nd day of March 1847, by Hiram O. Miller. When Reeds relief party left the cabins, Mr. Reed left me a half teacupful of flour, and about half a pound of jerked beef. It was all he could give. Mrs. Murphy, who was left with me, because too weak and emaciated to walk, had no larger portion. Reed had no animosity toward me. He found me too weak to move. He washed me, combed my hair, and treated me kindly. Indeed, he had no cause to do otherwise. Some of my portion of the flour brought by Stanton from Sutters Fort I gave to Reeds children, and thus saved their lives. When he left me, he promised to return in two weeks and carry me over the mountains. When this party left, I was not able to stand, much less to walk. Keseberg was unable to walk due to an injury he suffered while hunting on the Humboldt River the previous October. then went to where the horses were; here was the main rendezvous. A man by the name of Kern, a Vaquero, and partner of Woodworth, reigned supreme and gave us a benefit by making some wild Indians drunk and allowing them to have a war dance. But, you say, where was the benefit. It was in giving the liquor to all to the Indians and keeping us from sleeping more than half the night. The Indians got some shirts there, too, but I dont know how; only I am satisfied they did not steal them. However, they needed them worse than we did, for they were entirely naked, and we were not quite. James Reeds Diary of the Second Relief: 3 Thurs left Camp early traveled on the lake 2 miles an encamped under the mountain made this day about 4 miles, nothing of interest occd. At the camping-ground, near the upper end of Donner Lake, one of the relief party jokingly proposed to another to play a game of euchre to see who should have Mrs. Graves money. The next morning, Mrs. Graves remained behind when the party started, and concealed her money. 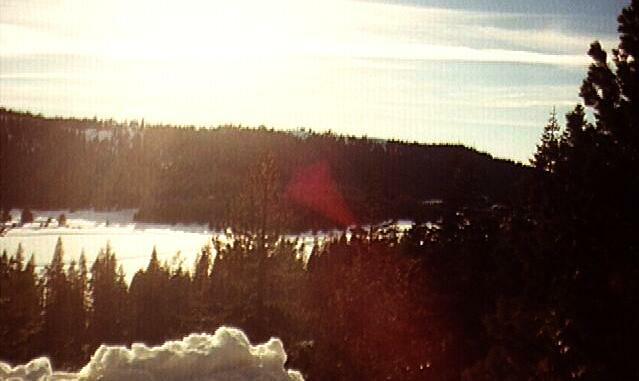 All that is known is, that she buried it behind a large rock on the north side of Donner Lake. So far as is known, this money has never been recovered, but still lies hidden where it was placed by Mrs. Graves. 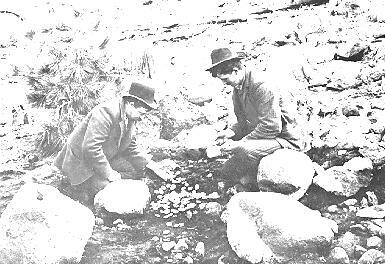 On May 14, 1891 Edward Reynolds, a miner from Sierra Valley, found some silver coins while prospecting on the north shore of the lake. Reynolds, McGlashan and Amos Lane searched the area and recovered 191 coins of various nationalities and denominations less than 30 feet from the large rock long reputed to be the site of the cache. The next day we traveled up to the head of the Lake on the ice, making camp here for the night. From this camp I sent in advance of us two of our men, Jondrieux and Dofar, good mountaineers, for the purpose of getting the provisions in our last cache and returning with them they to meet us on the road the next day. 4 Fri this morning after Breakfast I had 2 Scanty meals left for all hands, which would do to the night following I sent ahead 3 men J Jandrou M Dofar & Turner whoe ware of my best men for the occasion, to push to our first Cach and if not disturbed to bring it up while the other Two proceed on to bring up our Second and if they should meet our Supplies which we all expected clace at hand to hurrey them on, (but to our misfortune there was none nigher than 65 miles and at this Juncture no prospect of Starting which I learned afterwards) to be the fact from Comd Woodworth himself I mouved camp and after a fatiguing day arrivd at the praire now Starved Camp at the head of Juba it was made by the other Compy who had passed in but a few days previous. here the men began to fail being for several days on half allowance, or 1 1/2 pints of gruel or sizing per day. the Sky look like snow and everthing indicates a storm god for bid wood being got for the night & Bows for the beds of all, and night closing fast, the Clouds still thicking terror terror I feel a terrible foreboding but dare not Communicate my mind to any, death to all if our provisions do not Come, in a day or two and storm should fall on us. Very cold, a great lamentation about the Cold. Reeds reference to Starved Camp indicates that this entry was written after the events, and that rather than amazing prescience about the storm, Reed was possessed of normal hindsight. When coming in we made three caches, or deposits of beef. Two of them were made by taking a bag of dried beef to the top of a pine sapling, then securing it, cutting all the limbs off the tree to prevent animals from getting up and destroying the meat. The next morning we proceeded up the mountain and in the evening came to one of the camping places of the party we had met in Bear Valley. Starved Camp. On the afternoon ... a snow-storm set in very violently, and increased to blinding thickness before the evening was far advanced. They encamped early, and the men of the relief party gathered and set brush in the snow, and threw up a bank against it, to break the storm off the fire and those who surrounded it. Mrs. B. told me that she had her husband and five children together, lying with their feet to the fire, and their heads under shelter of the snow breast-work; and she sat by them, with only moccasins on her feet, and a blanket drawn over her shoulders and head, within which, and a shawl she constantly wore, she nursed her poor baby on her knees. Her milk had been gone many days, and the child was so emaciated and lifeless, that she scarcely expected at any time, on opening the covering, to find it alive. The other lay with her babe and three or four older children, at the other side of the fire, were, also, most of the rest of the party. The storm was very violent all night; and she watched through it, dozing occasionally for a few moments, and then rousing herself, to brush the snow and flying sparks from the covering of the sleepers. Toward morning, she heard one of the young girls opposite call to her mother to cover her. The call was repeated several times impatiently, when she spoke to the child, reminding her of the exhaustion and fatigue her mother suffered in nursing and carrying the baby, and bidding her cover herself and let her mother rest. Presently she heard the mother speak, in a quite unnatural tone, and she called to one of the men for to go and speak to her. He arose after a few minutes, and found the poor sufferer almost past speaking. He took her infant, and after shaking the snow from her blanket, covered her as well as might be, and left her. Shortly after, Mrs. B. observed her to turn herself slightly, and throw one arm feebly up, as if to go asleep. She waited a little while, and seeig her remain quite still, she walked around to her. She was already cold in death. Her poor, starving child wailed and moaned piteously in the arms of its young sister; but the mothers heart could no more warm or nourish it. The men came. I listened to their talking as they made their agreement. Then they took us, three little girls, up the stone steps, and stood us on the bank. Mother came, put on our hoods and cloaks, saying, as if she was talking more to herself than to us: I may never see you again, but God will take care of you. After traveling a few miles, they left us on the snow, went ahead a short distance, talked one to another, then came back, took us as far as Kesesbergs cabin, and left us. Mr. Cady recalls the incident of leaving the children on the snow, but says the party saw a coyote, and were attempting to get a shot at the animal. Frances was six years and eight months old and could trudge along quite bravely, but Georgia, who was little more than five, and I, lacking a week of four years, could not do well on the heavy trail, and we were soon taken up and carried. After traveling some distance, the men left us sitting on a blanket upon the snow, and went ahead a short distance where they stopped and talked earnestly with many gesticulations. We watched them, trembling lest they leave us there to freeze. Then Frances said, Dont feel afraid. If they go off and leave us, I can lead you back to mother by our foot tracks on the snow. After a seemingly long time, they returned, picked us up and took us on to one of the lake cabins, where without a parting word, they left us. 5 Saturday Still in Camp the last of our provisions gone looking anxiously for our supplies none. My dreaded Storm is now on us commed snowing in the first part of the night and with the Snow Commed a perfect Hurricane in the night. A great crying and lamentation on acct of the Cold and the dread of death from the Howling Storm the men up nearly all night making fires, some of the men began to pary several became blind I could not see even the light of the fire when it was blazing before me I Continued so to the next day then my sight returned Young Brine fell of his feet into the pit the heat of the fire had made in the snow to a depth of 15 feet. it has snowed already 12 inches, still the storm Continues the light of Heaven, is as it ware shut in from us the snow blows so thick that we cannot see 20 feet looking against the wind I dread the Coming night 3 of my men only able to get wood the rest give out, for the present. After some time wood being secured we had a great difficulty in fixing a foundation for our fire the snow having melted to a great depth I think now 15 feet--and no earth in sight it must be from 6 to 10 feet Snow before the earth is seen in the fire pit. the manner of making our fires on the snow are as follows, we lay 2 pcs of timber or saplin about 10 feet apart--then Roll close together large green logs on the Two pcs in a transverse position these form a bed for the dry logs to lie on so as to prevent the coals of the dry wood which we lay on from falling through into this deep pit which was melted below. Still Storming verry cold so much so that the few men employed in Cutting the dry trees down have to Come and warm about very 10 minutes, hunger hunger is the Cry with the Children and nothing to give them freezing was the Cry of the mothers with reference to their little starving freezing Children Night Closing fast and with it the Hurricane Increases--not quite so much snow falling as before night. another night was passed in the relentless storm, and it was only by the most superhuman efforts of Mr. Reed and his men, that the lives of the party were preserved. The fire had sunk into a pit in the snow, twenty feet deep, and it required the most unceasing toil to save it from the destructive power of the snow. The second night Mr. Reed became snow blind and chilled through; he had overexerted himself in securing shelter for the party. Now there was only Mr. Miller and myself who were able to do anything; the rest of the men were disheartened, and would not use any exertion; in fact they gave up all hope, and in despair, some of them commenced praying. I d----d them, telling them it was not time to pray but to get up, stir themselves and get wood, for it was a matter of life and death to us in a few minutes. The fire was nearly out; the snow in falling off the trees had nearly extinguished it before discovered; it was only rekindled by the exertion of Mr. Miller and myself. After we got the fire started I was so chilled that in getting warm I burned the back out of my shirts, having four on me; only discovering the mishap by the scorching of my skin. Reed describes Summit Valley, which is at elevation 6,800. 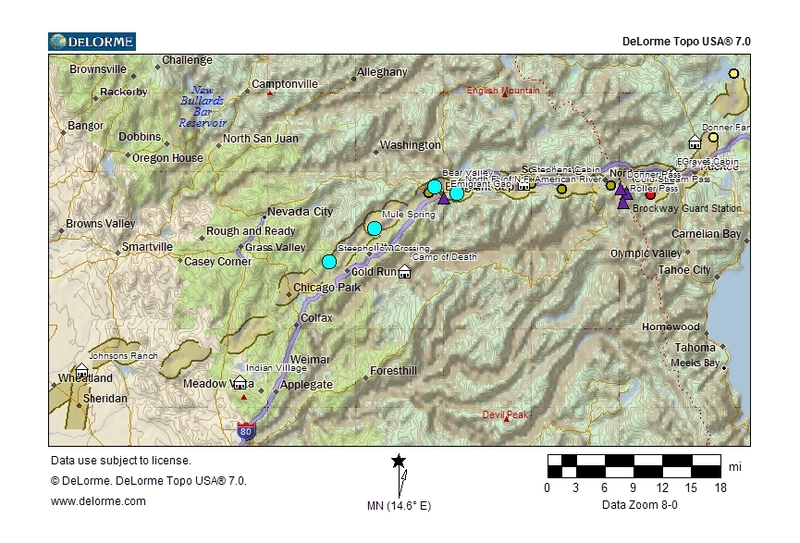 The summits of the California Range surrounding Summit Valley include Donner Peak, 8,019, Mount Judah, 8,243, Mt. Lincoln, 8,383, and Mt Disney, 7,953. The latter two are part of Sugar Bowl ski area and are accessible by chair lift. The likely location of Starved Camp is just east of Summit Valley in the small clearing below the Pass, at 7,000. This clearing is now partially filled by Lake Mary. Our provisions gave out, and one of the children died. I expected the two men, Jondrieux and Dofar, at the latest, to be back in the morning after we made camp here. But the storm had overtaken them. They found the cache had been destroyed by animals and had proceeded on to the next one, finding that partly destroyed, there were they snow-bound, and were nearly perishing. Four days after Mr. Woodworths party left Johnsons ranche, Messrs. Foster and Eddy obtained horses which had been purchased under the order of Captain Hull. With these they set out to meet Mr. Reed and his party. Mr. Eddy had heard that his wife and one of his children had perished, but he cherished a feeble hope that he was not left to mourn for the loss of all; and that he would find one of his children with Mr. Reed; .... Mr. Foster believed that his child yet survived. He hoped also to find his mother-in-law, Mrs. Murphy, and his brother-in-law, Simon Murphy, alive. When Nicholas Clark awoke on the third day, the tent was literally buried in freshly fallen snow. He was in what is known as Jacob Donners tent. Its only occupants besides himself were Mrs. Elizabeth Donner, her son Lewis, and the Spanish boy, John Baptiste. George Donner and wife were in their own tent, and with them was Mrs. Elizaabeth Donners youngest child, Samuel. Mr. Clark says he can not remember how long the storm lasted, but it seems as if it must have been at least a week. The snow was so deep that it was impossible to procure wood, and during all those terrible days and nights there was no fire inn either of the tents. The food gave out the first day, and the dreadful cold was rendered more intense by the pangs of hunger. Sometimes the wind would blow like a hurricane, and they could plainly hear the great pines crashing on the mountain side above them, as the wind uprooted them and hurled them to the ground. Sometimes the weather would seem to moderate, and the snow would melt and trickle in under the sides of the tent, wetting their clothes and bedding, and increasing the misery of their situation. When the storm cleared away, Clark found himself starving like the rest. ... Just as the storm was closing, Lewis Donner died, and the poor mother was well-nigh frantic with grief. As soon as she could make her way to the other tent, she carried her dead babe over and laid it in Mrs. George Donners lap. With Clarks assistance, they finally laid the child away in a grave cut out of the solid snow. On the second day after they left, they arrived at Bear River valley, where they found Passed-midshipman Woodworth remaining in camp with one man to bring water, make fires, and cook for him. There were also other men in other ways to assist him. ... Mr. Woodworth promised that he would set forward on the following morning, but he advised Messrs. Foster and Eddy not to attempt the passage of the mountain. They informed him that they had passed over under vastly more difficult circumstances, and that they would certainly attempt it again. This list includes some people rescued by the First Relief, and also one who came out of the mountains on her own with the Snowshoe Party (Mary Graves) and one rescued by the Second Relief (Solomon Hook). From here we were taken to Johnsons ranch, the first settlement in California; here we were left to look out for ourselves, but the people were very kind to us and we got along very well; but our flesh swelled up as if we had been stung all over by bees, and it was equally as sore. Our only flour at that time was wheat, ground in a common coffee mill. Beef was very cheap; we could buy a quarter of a full grown bullock for a dollar. They were upon about thirty feet of snow, beside a fire made by falling several trees together from opposite directions. The stark mother lay there before them--a ghastlier sight in the sunshine that succeeded the storm, than when the dark clouds overhung them. They had no words of cheer to speak to each other--no courage or hope to share, but those which pointed to a life where hunger and cold could never come, .... yet the mothers sublime faith, which had brought her thus far through her agonies with a heart still warm toward those who shared them, did not fail her now. She spoke gently to one and another--asked her husband to repeat the litany and the children to join her in the responses, and endeavored to fix their minds upon the time when relief would probably come. The stark mother was Elizabeth Graves, who had died during the storm according to the Breens account. Reed does not mention her death in his accounts. It is possible she survived until after Reed left on the 7th, or it is just as likely that Reed had forgotten her. The next day our travel was slow, many in pain. When night came on those in advance camped, the next coming straggling in, making considerable noise. This gave the camp of Mr. Woodworth the first intimation of our proximity to them. He sent some of his party to us requesting that we would come down to his encampment; but the most of us having laid down for the night, declining going, but would be glad if he would sent us something to eat, which he did, and some of the party who had not camped, went down. Hiram Miller picked up Tommy and started. Patty thought she could walk, but gradually everything faded from her sight, and she too seemed to be dying. All other sufferings were now forgotten, and everything was done to revive the child. My father found some crumbs in the thumb of his woolen mitten; warming and moistening them between his own lips, he gave them to her and thus saved her life, and she was carried along by different ones in the company. They accordingly set out, eight in number, on the following morning. Having crossed a ridge, they arrived at Yuva river, where Passed-midshipman Woodworth, who had become tired from carrying his blanket, proposed, at about 3 oclock, P.M., to encamp. That night two of Mr. Reeds men came to Mr. Woodworths camp, and informed him that Mr. Reeds party were encamped about one mile in advance. What days and nights were those which went by while they waited. Life waning visibly in those about her; not a morsel of food to offer them; her own infant, and that little one that had been cherished and saved through all by the mother now lying dead; wasting hourly into the more perfect image of death; her husband, worn to a skeleton, indifferent to his own fate or any ones else. ... She watched by night as well as by day. She gathered wood to keep them warm. She boiled her handful of tea and dispensed it to them; and when she found one sunken and speechless, she broke with her teeth a morsel of the precious sugar and put it in his lips. She fed her babe freely on snow-water, and, scanty as was the wardrobe she had, she managed to get fresh clothing next to its skin two or three times a week. ... She put her hand under their blankets and held it before the mouth. In this way she assured herself that they were yet alive; but once her blood curdled to find, on approaching her hand to the lips of one of her own children, there was no warm breath upon it. She tried to open the mouth, and found the jaws set. She roused her husband. O, Patrick, man, rise and help me; James is dying! Let him die, said the miserable father; he will be better off than any of us. She was terribly shocked by this reply. In her own expressive language, her heart stood still when she heard it. She was bewildered, and knew not where to set her weary hands to work; but she recovered in a few moments, and began to chafe the chest and hands of the perishing boy. She broke a bit of sugar, and with considerable effort forced it between his teeth with a few drops of snow-water. She saw him swallow; then as light convulsive motion stirred his features; he stretched his hands feebly, and in a moment more opened his eyes and looked upon her. Further down the mountain, Reeds account in his 1871 article in the Pacific Rural Press: Next morning Mr. Woodworth proceeded on with all haste, and my impression is, that two or three of our party went back with them. Mr. Woodworth then went to Mr. Reeds camp, and after conversing with him, returned. Mr. Reed had informed him that some miles from that place he had left fourteen of the sufferers. Mr. Woodworth asked the men with him, if they would go to the relief of these emigrants, and received a reply in the negative. Messrs. Foster and Eddy proposed to make themselves responsible for almost any sum to persons who would go with them. To this it was replied that they, having lost all their property and money, were irresponsible. J.F. Reed and Hiram Miller said that they would be responsible for any amount, for which Messrs. Eddy and Foster would engage. But these it was said were in the condition of the first. Mr. John Starks offered to go out without any reward beyond that derived from the consciousness of doing a good act. But the snow made it prudent to have only light men for the service. It was necessary for each man to carry fifty pounds of provisions; and this, added to Mr. Starks own weight, of two hundred and twenty-four pounds, made it imprudent for him to go. Being unable to induce any of them to consent to go, Messrs. Eddy and Foster were about to set out alone. Mr. Reed, however, remonstrated against this, and at length induced them to consent to return to Bear River valley, where he said he would use his utmost efforts to prevail upon Mr. Woodworth and his party to enter upon the enterprise. Thorntons statement that Reed reported leaving fourteen of the sufferers suggests that this is not a quote from Reed, since he knew that Isaac Donner had died, and possibly Mrs. Graves too, leaving only twelve survivors: the seven Breens, Mary Donner, and the four Graves children. It is also possible that Eddy or Thornton provided the number fourteen based on their later knowledge of the number who did not come out with Reed. In going to a tamarack grove to get some wood, Mr. Clark was surprised to find the fresh track of the bear cub, which had recrossed Alder Creek and ascended the mountain behind the tents. It was doubtless the same one whose mother he had wounded. The mother had probably died, and after the storm the cub had returned. Mr. Clark at once followed it, tracking it far up the mountain side to a cliff of rocks, and losing the trail at the mouth of a small, dark cave. He says that all hope deserted him when he found that the cub had gone into the cave. ... After reflecting for some time on the gloomy situation, he concluded to fire his gun into the cave, and see if the report might not frighten out the cub. ... His random shot had pierced its brain, and it had died without a struggle. ... after a long time he succeeded in dragging his prize to the surface. There was food in the Donner tents from this time forward. It came too late, however, to save Mrs. Elizabeth Donner or her son Samuel. Mrs. Lavina Murphy had charge of her son, Simon Murphy, her grandchild, George Foster, of the child James Eddy, and of the three little Donner girls, Frances, Georgia, and Eliza. All dwelt in the same cabin, and with them was Lewis Keseberg. ... Keseberg has generally been accused of the murder of little George Foster. Except Mrs. Murphy, the oldest of those who were with Keseberg was only nine years of age. All that the children know is that Keseberg took the child to bed with him one night, and that it was dead next morning. One of the little ones who survived-- ... and who is now Mrs. Georgia A. Babcock--gives the mildest version of this sad affair which has ever appeared in print. ... She ... writes the following: In the morning the child was dead. Mrs. Murphy took it, sat down near the bed where my sister and myself were lying, laid the little one on her lap, and made remarks to other persons, accusing Keseberg of killing it. After a while he came, took it from her, and hung it up in sight, inside the cabin, on the wall. and two days after they reached the camp of Mr. Woodworth, in Bear River Valley. As soon as Mr. Reed and party reached Mr. Woodworths camp, they urged him to proceed immediately to the relief of those who had been left on the east side of the mountains, and the party that had remained at the head of Juba valley; the former having very little provision, the latter none whatsoever. But Mr. Woodworth and party, when gazing upon the pale and emaciated forms of the emigrants, and saw pictured upon their countenances the evidence of most intense suffering, and looked forward to the dangers that must be surmounted before they could reach and relieve the poor emigrants, they quailed before the prospect, and refused to proceed without a pilot. A pilot was, however, needless,--because the tracks made by the snow shoes of the party which had just arrived, were amply sufficient to guide them to Juba valley, from which Juba river was a sure guide to Truckeys lake, near the cabins. Of all this Mr. Woodworth was informed, but he utterly refused to proceed without a pilot. Reeds comment about the trail to Yuba valley suggests that, contrary to Stewarts suggestion, the relief parties did not cross the low divide at the head of Bear Valley to the Yuba, but instead followed the wagon road over Emigrant Gap, across Carpenter Flat, up the hill to Sixmile Valley, and over the ridge to the Yuba Bottoms near Cisco Butte. Upon returning to Bear River valley, Mr. Woodworth finally said that he would engage, under the authority he had received from Capt. Hull to pay three dollars per day to every man who would bring out a child not his own. Mr. Eddy hired Hiram Miller, formerly of Springfield, Illinois, engaging to pay him fifty dollars. Mr. Foster hired a Mr. Thompson for the same sum. Howard Oakley, John Starks, and Mr. Stone looked to Capt. Hull for their wages. Reeds account in his 1871 article in the Pacific Rural Press: We proceeded slowly, and the second night, we reached the encampment at Bear valley, in company with Mr. Woodworth, he returning to Sutters Fort. From here a majority of the party rode to Sutters, I stopping at Mr. Sinclairs. Virginia Reed, in her 1891 Century Magazine article, wrote: Patty was not alone in her travels. Hidden away in her bosom was a tiny doll, which she had carried day and night though all of our trials. Sitting before a nice, bright fire at Woodworths Camp, she took dolly out to have a talk, and told her of all her happiness. 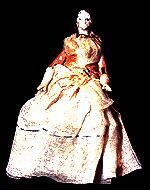 Pattys doll is on display at the Sutters Fort State Historical Park Museum in Sacramento, California. In the summer of 1996, it was on loan to the Smithsonian Institution for its 150th Anniversary Exhibition 1846: Portrait of a Nation. Their fire had melted the snow to a considerable depth, and the were lying upon the bank above it. Thus they had less of its heat than they needed, and found some difficulty in getting the fuel she gathered, placed so that it could burn. ... The fire had sunk so far away, that they had felt but little of its warmth the last two nights, and casting her eyes down into the snow-pit, where it sent forth only a dull glow, she thought she saw the welcome face of beloved mother earth. It was such a reviving sight, after their long freezing separation from it! She immediately roused her eldest son, and with at great deal of difficulty, and repeated words of cheering and encouragement, brought him to understand, that she wished him to descend by one of the tree-tops which had fallen in, so as to make a sort of ladder, and see if they could reach the naked earth and if it were possible for them all to go down. She trembled with fear of the vacant silence in which he at first gazed at her, but at long length, after she had told him a great many times, he said, yes, mother, and went. He reached the bottom safely, and presently spoke to her. There was naked dry earth under his feet; it was warm, and he wished her to come down. She laid her baby beside some of the sleepers and descended. Immediately she determined upon taking them all down. ... By persuasion, by entreaty, by encouragement, and with her own aid, she got them all into this snug shelter. At this removal another child was found dead. ... He had a young sister who had set out in comparatively good condition, but was not emaciated and stupefied. The warmth of the fire revived and enlivened her, and when she missed her brother and learned that he was dead, she begged Mr. B. to go up cut a piece off him, for her to eat. O child, exclaimed the horror-stricken woman, sure you would not eat your own brother. O yes I will. Do, Mr. Breen, I am so hungry, and we ate father and uncle at the cabin! The man dared not resist her entreaty; for he thought, If she should die when her life might be saved by it, the responsibility would be on me! He ascended to the terrible task. His wife, frozen with horror, hid her face in her hands and could not look up. She was conscious of his return, and of something going one about the fire; but she could not bring herself to uncover her eyes till all had subsided again into silence. Her husband remarked, that perhaps they were wrong in rejecting a means of sustaining life, of which others had availed themselves; but she put away the suggestion so fearfully, that it was never renewed nor acted upon by any of her family. The young child was Isaac Donner who had died during the storm before Reed left. The sister was Mary Donner, who probably suggested that they eat the dead, as she and the others at Alder Creek had already resorted to cannibalism to save themselves. Although she likely survived on her uncle Jacobs body, she had not ate her father who was alive when she left Alder Creek. This misquote must have been caused by the Breens mistaken belief that George Donner was dead. As for the assertion that the Breens did not partake of the means of sustenance even Prof. King found it not credible. Down the mountains, the Third Relief approached, as told by Eddy to Thornton: The company thus organized, through the instrumentality of Messrs. Eddy and Foster set out for Mountain Camp, on the following morning. They encamped that night about half way up Yuva river, in fifteen feet of snow. All this time Mrs. Tamsen Donner was tortured with fear and dread, lest her children had perished in the dreadful storm on the summits. At last Clark yielded to her importunities, and decided to visit the cabins at Donner Lake, and see if there was any news from beyond the Sierra. Clark found the children at Kesebergs cabin, and witnessed such scenes of horror and suffering that he determined at once to attempt to reach California. Returning to Alder Creek, he told Mrs. Donner of the situation of her children, and says he informed her that he believed their lives were in danger of a death more violent than starvation. He informed her of his resolution to leave the mountains, and taking a portion of the little meat that was left, he at once started upon his journey. John Baptiste accompanied him. ... Mrs. Tamsen Donner did not dare to leave her husband alone during the night, but told Clark and Baptiste that she should endeavor to make the journey to the cabins on the following day. Morgan doubted that Denton composed the poetry as he lay dying in the snow. As noted by a sharp-eyed reader of this site, this poetry was actually the lyrics to the song The Happy Valley, lyrics by Thomas Haynes Bayly, music by Charles Edward Horn, published on page 196 of Songs, Ballads and Poems edited Baylys widow and published in 1844. The following lines are from the journal of Mr. John Denton, one of the unfortunate emigrants who perished during the past winter in the California Mountains. He was found dead on the mountain, having made an effort, with a few others, to cross. His journal was taken from his pocket and brought in. It is said to contain many interesting items in relation to the route from Missouri to the California Mountains, and a graphic description of the sufferings of the unfortunate party, of which he was a member. The journal will probably in a few weeks be placed in our hands. Oh! after many Roving Years. The scene of boyhoods hours. Unfortunately, Dentons journal was never published. According to Morgan, If it is true that Denton kept a journal, what happened to it is unknown. The next day, at 4 oclock, they arrived at the camp of those whom Mr. Reed had been compelled to leave. The fire at the Starved Camp had melted the snow down to the ground, and the hole thus made was about twelve or fifteen feet in diameter, and twenty-four feet deep. As the snow continued to melt, they made steps by which they ascended and descended. ... After supplying these emigrants with food, Messrs. Oakley, Starks, and Stone were left to lead them on to Bear River valley, and to carry out Mrs. Graves babe and two other children. Those who were in favor of returning to the settlements, and leaving the Breens for a future relief party (which, under the circumstances, was equivalent to the death penalty), were to answer aye. The question was put to each man by name, and as the names were called, the dreadful aye responded. John Starks name was the last one called, because he had, during the discussion of the question, strongly opposed the proposition for abandonment, and it was naturally supposed that when he found himself in so hopeless a minority he would surrender. When his name was called, he made no answer until some one said to him: Stark, wont you vote? Stark, during all this proceeding of calling the roll, had stood apart from his companions with bowed head and folded arms. When he was thus directly appealed to, he answered quickly and decidedly: No, gentlemen, I will not abandon these people. I am here on a mission of mercy, and I will not half do the work. You can all go if you want to, but I shall stay by these people while they and I live. ... No one can attach blame to those who voted to leave part of the emigrants. It was a desperate case. Their idea was to save as many as possible, and they honestly believed that by attempting to save all, all would be lost. But this consideration--and the further one that Stark was an entire stranger to every one in the camps, not bound to them by any tie of blood or kindred, nor having any hope of reward, except the grand consciousness of doing a noble act--makes his conduct shine more lustrously in the eyes of every person who admires natures true and only nobility. Stark was finally left alone. To his great bodily strength, and unexcelled courage, myself and others owe our lives. There was probably no other man in California at that time, who had the intelligence, determination, and what was absolutely necessary in that emergency, the immense physical powers of John Stark. He was as strong as two ordinary men. On his broad shoulders, he carried the provisions, most of the blankets, and most of the time some of the weaker children. In regard to this, he would laughingly say that he could carry them all, if there was room on his back, because they were so light from starvation. McGlashan further quotes from a manuscript by James Breen: I distinctly remember that myself and Jonathon Graves were both carried by Stark, on his back, the greater part of the journey. Messrs. Eddy, Foster, Thompson, and Miller, started at about 4 oclock, on the following morning, for the Mountain Camp, where they arrived at about 10 oclock, A.M. A more shocking picture of distress and misfortune, can not be imagined, than the scene they witnessed upon their arrival. Many of those who had been detained by the snows had starved to death. Their bodies had been devoured by the wretched survivors; and their bones were lying in and around the camps. ... Something was absolutely necessary to be done to sustain their miserable existence; yet all of them, except Kiesburg, had refrained from this most monstrous food as long as any thing else could be had. ... This man also devoured Mr. Eddys child, ... and was among the first to communicate the fact to him. ... Such was the horrible and emaciated appearance of this man that Mr. Eddy, as he informed me, could not shed his blood there; but he resolved to kill him upon his landing at San Francisco, if he ever came to the place. The party of Messrs. Eddy and Foster, upon their arrival at the Mountain Camp, found five living children, to wit: three of George Donners, one of Jacob Donners, and one of Mrs. Murphys. They also found a man whose name is Clarke. ... Clarke had gone out with Mr. Reed, I believe, under the pretense of assisting the emigrants. He was found with a pack of goods upon his back, weighing about forty pounds, and also two guns, about to set off with his booty. This man actually carried away this property, which weighed more than did a child he left behind to perish. ... In addition to these, there were in camp, Mrs. Murphy, Mr. and Mrs. George Donner, and Kiesburg--the latter, it was believed, having far more strength to travel, for the reason, as was suspected, that he wished to remain behind for the purpose of obtaining the property and money of the dead. Mrs. George Donner was in good health, was somewhat corpulent, and certainly able to travel. But her husband was in a helpless condition, and she would not consent to leave him while he survived. She expressed her solemn and unalterable purpose, which no danger and peril could change, to remain, and perform for him the last sad offices of duty and affection. She manifested, however, the greatest solicitude for her children; and informed Mr. Eddy that she had fifteen hundred dollars in silver, all of which she would give to him, if he would save the lives of her children. He informed her that he would not carry out one hundred dollars for all that she had, but that he would save the children, or perish in the effort. The party had no provisions to leave for the sustenance of these unhappy and unfortunate beings. After remaining about two hours, Mr. Eddy informed Mrs. Donner that he was constrained by the force of circumstances to depart. ... The parting scene between the parents and children is represented as being one that will never be forgotten, ... and that the last words uttered by Mrs. Donner, in tears and sobs, to Mr. Eddy, were, O, save! save my children! Mr. Eddy carried Georgiana Donner, who was about six years old; Hiram Miller carried Eliza Donner, about four years old; Mr. Thompson carried Frances Ann Donner, about eight years old; William Foster carried Simon Murphy, eight years old; and Clarke carried his booty, and left a child of the Donners to perish. The first night after leaving the Mountain Camp, the party encamped at the foot of the pass, on the eastern declivity of the mountain. The Donner child left behind was presumably 4 year old Samuel. Since Tamsen Donner came alone to the lake cabins on March 14, after the death of her sister-in-law Elizabeth, it seems likely that Elizabeths son Samuel had died about the same time, just a few days after Clark left the Donners camp. The place assigned us in the cabin was near the opening and during the first storm the snow drifted down and covered our beds and had to be shoveled off before we could get up next morning. We were shy but managed to keep close together. O, it was dreadful! ... and mother knew no better until after Aunt Betsys death and Mr. Clark stopped on the way out and found us there and returned and told Mother and she came to us. I dont remember if she stayed all night. She sat back with Mrs. Murphy who was weak and in bed and afraid of her life. Our mother did not dare notice us much, she was suffering so. She expected us to be in the settlement and there we were poor helpless children and nothing in her power to help us with. Mother was speaking to Mrs. Murphy, Keseberg, Simon M. and we three were present when the cabin seemed filled with men. They grabbed us out of bed and flew with us to the top on the snow and dressed us ready to start. I dont think it was more than ten before we were off. Mother tried to hire some one to go back with her she offered to pay them well but they would not. I can not see her all alone traveling back. Mr. Miler took you Mr. Eddy Georgia and Mr. Thompson me. I walked every step of the way. I was barefoot but mother gave me a pair of her shoes to wear. You can think what a fit it was for a child not quite seven; and to under take such a trip across the Mts. in condition we were in at that time. We made the edge of the hill on the border of the lake and stopped, there is where we got our first something to eat. I think we went a little further before we camped. On the next day they crossed the pass, where Mr. Eddy found an aperture in the snow which had been kept open by a spring, where, by letting down a cord, he ascertained the depth of the snow to be sixty-five feet. That night they encamped half way down Yuva river. The stated snow depth of 65 is another example of the questionable reliability of Thorntons account. The distance of half way down Yuva river seems too far for such a group to travel after climbing 1,100 feet over the pass. More likely, they barely reached the Yuba Bottoms, eight miles from the eastern side of the pass. The next morning, they resumed their journey, and came up with Mr. Starks, with Patrick Brinn and family, and others, who were the eleven persons that remained alive of the fourteen whom Mr. Reed had been constrained to leave. They at the same time met Messrs. Glover, Coffemymeir, Mootrey, and Woodworth, who had halted to prepare dinner. After the meal was taken, these gentlemen set out for the Mule Spring. Toward th close of the afternoon, Mr. Woodworths party encamped at the last crossing of Yuva river. At night Messrs. Eddy, Foster, Thompson, and Miller came up, bringing with them the children with whom they had left the Mountain Camp. John Baptiste and Clarke were also with them. Here they encamped in the snow. 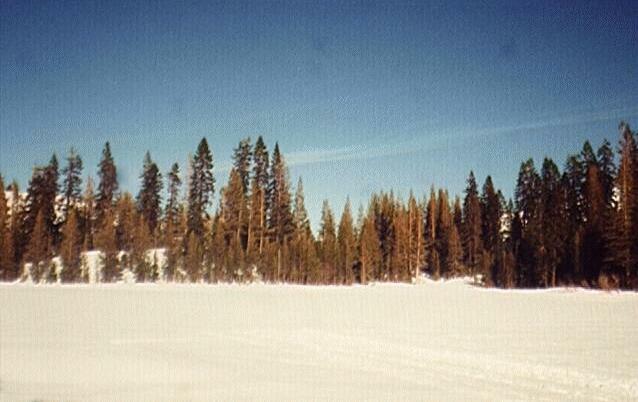 The last crossing of the Yuba on the wagon road was located just north of Cisco Butte, between the present Cisco and Eagle Lakes exits from Interstate 80. This would be a days travel of about six miles. The reference to the last crossing suggests that the relief parties followed the wagon road. If Stewart is correct that the relief parties followed the Yuba River to a different crossing above Bear Valley, the days distance would be about eleven miles. On the following morning, Mr. Woodworth gave to the party a little food. He was informed that there were persons yet remaining at the Mountain Camp, for whose rescue an effort ought to be made. He replied, that he could not remain any longer, and after giving his blankets to Mr. Mootrey to carry, he said he would go forward and prepare horses for proceeding immediately on into the settlements. Messrs. Woodworth, Glover, Mootrey, and Coffeymeir then proceeded forward to the Mule Spring, where they encamped. Messrs. Foster, Eddy, Miller, and Thompson resumed their journey, and at 10 oclock, A.M., arrived at the Mule Spring. Here they came up with Messrs. Oakley and Stone, who, having left Mr. Starks, had passed Messrs. Foster, Eddy, Miller, and Thompson. Mule Spring is sixteen miles from the last wagon crossing of the Yuba River at Cisco Butte, or about ten miles from the Yuba River just above Bear Valley. On the evening of the second day after their arrival at this camp, Mr. Starks came up, with Patrick Brinn, his wife, and children. Mr. Starks carried Jonathon Graves, a boy twelve years of age. Mr. Stone had carried the deceased Mrs. Graves babe. Mr. Oakley carried Mary Donner, a girl thirteen years old, one of whose feet had been severely burnt at the Starved Camp, previous to Mr. Reed leaving at that place the fourteen, as previously mentioned. In a letter to C.F. McGlashan, dated February 28, 1879, William Graves relayed John Starks account of Mrs. Breens arrival at Woodworths camp: Woodworth said to her you may thank me Mrs. Breen for your safe delivery, Thank you I thank no boddy but God and Stark and the Vergin Mary she said. Putting Stark second best and I think he deserved it. A heavy storm came on in a few days after the last relief party left. Mrs. George Donner had remained with her sick husband in their camp, six or seven miles away. Mrs. Murphy lived about a week after we were left alone. ... Mrs. Murphy was too weak to revive. When I left the mountains there was still remaining at the cabins, Mr Kiesbury and Geo. Donner the only two men; Mrs Geo Donner, one child, and Mrs Murphy;--Mrs Murphy, Mr Donner and the child could not survive many more days when left, but Mrs Donner and Kiesbury could subsist upon the remaining bodies yet some ten days. The snow at the Cabins was going off rapidly; but in Bear Valley and on the Juba River it was yet 20 feet deep on the level. When I arrived at Johnsons, on the 23d, I found a letter from Mr. McKinstry, stating that the bearer, J. Sel, as also D. Tucker, John Rhodes and E. Caffemeyer, were willing to return to the Cabins, and endeavor to save the remaining few. I immediately organized another party consisting of John Rhodes, John Stark, E. Caffemeyer, John Sel and Danl Tucker, Mr. Foster and the son of Mrs. Greaves volunteering to return with them, and despatched them immediately, furnishing them horses, provisions, &c., and I hope ere this that they have succeeded in saving at least two of those remaining there; the other three, Geo. Donner, Mrs. Murphy and the child I do not think can be saved, even should they be alive, as it will be impossible to remove them, they being so feeble, and otherwise ill. The child was four year old Samuel Donner, son of Jacob and Eizabeth Donner. J. Rhods & Jack and myself and others ... got as fair as the foot of Bear valy then pack on back this nite comce snowing stated went 6 miles the snow fells fast and tile we were compeled to turn back. At midnight, one cold, bitter night, Mrs. George Donner came to my door. It was about two weeks after Reed had gone, and my loneliness was beginning to be unendurable. I was most happy to hear the sound of a human voice. Her coming was like that of an angel from heaven. But she had not come to bear me company. Her husband had died in her arms. She had remained by his side until death came, and then laid him out and hurried away. He died at nightfall, and she had traveled over the snow alone to my cabin. She was going, alone, across the mountains. She was going to start without food or guide. She kept saying, My children! I must see my children! She feared she would not survive, and told me she had some money in her tent. It was too heavy for her to carry. She said, Mr. Keseberg, I confide this to your care. She made me promise sacredly that I would get the money and take it to her children in case she perished and I survived. She declared she would start over the mountains in the morning. She said, I am bound to go to my children. She seemed very cold, and her clothes were like ice. I think she had got in the creek in coming. She said she was very hungry, but refused the only food I could offer. She had never eaten the loathsome flesh. She finally lay down, and I spread a feather-bed and some blankets over her. Kesebergs reference to Reed is probably an error. More likely, he is referring to the last Relief Party to reach him, the Third Relief of Eddy and Foster. Kesebergs assertion that Mrs. Donner had never eaten human flesh is probably an attempt to preserve her reputation, even thirty years after her death. From Mary Donners statement at Starved Camp, and the reports of the relief and salvage parties, it is clear that the Donners had resorted to cannibalism to survive. Lewis Kesebergs 1879 statement to McGlashan continued: In the morning she was dead. I think the hunger, the mental suffering, and the icy chill of the preceding night, caused her death.